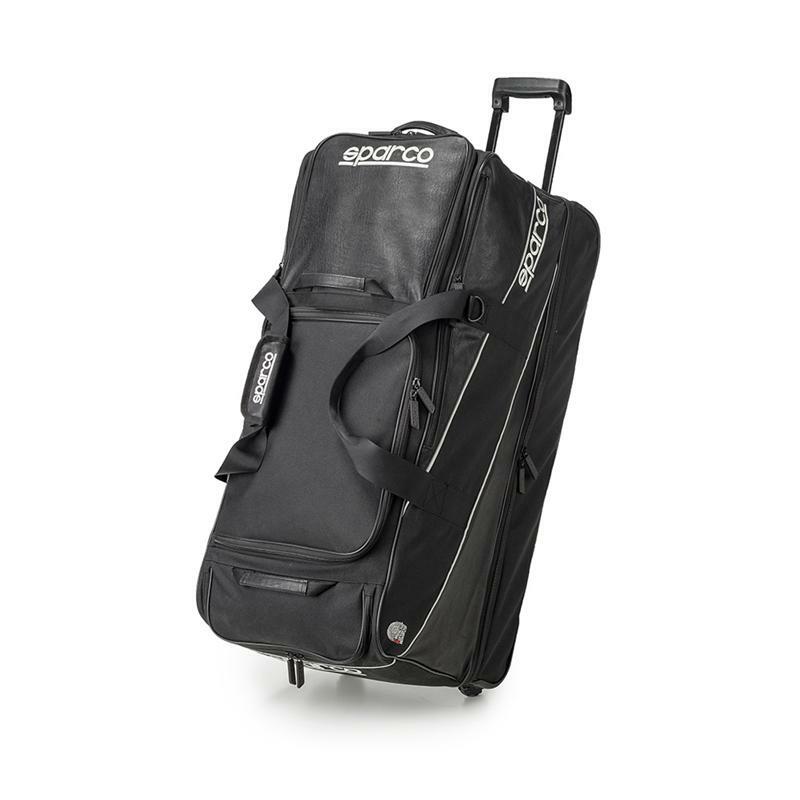 The Sparco Universe Bag is a large roller big enough for all your gear, but innovative enough to easy to tow. 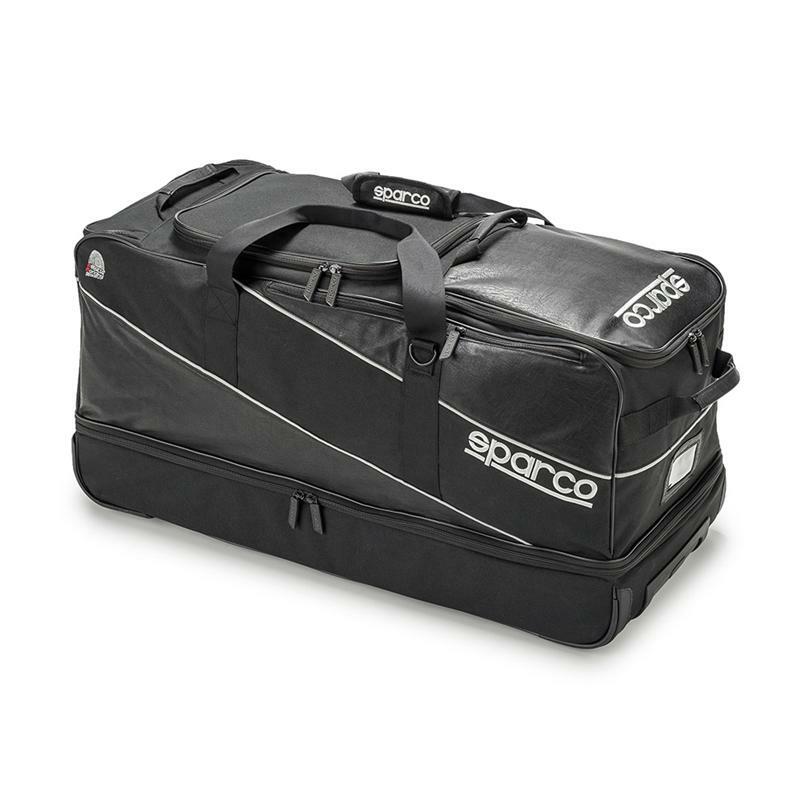 A reinforced base works in conjunction with adjustable shoulder straps and a retractable handle to make carrying the Sparco Universe Bag a breeze. The large main compartment includes a double zip internal pocket while the adjacent helmet compartment is padded to protect your gear during transport. A a shoe compartment, extra zipped pockets external document holder and a host of other innovations and you have the most versatile gear bag available.